Summer is shining lush and beautiful–we hope you’re getting a chance to breathe in the incredible amounts of CO2 being produced out there. The days might be getting shorter — on the summer solstice a friend once announced that winter was on its way — but every day seems more lush than the day before. Despite the heavy growth, many of our crops do seem behind still, from the cold start in May. It’s odd to us, it seems like they should have caught up by now, but there was a lot of cloudy weather in the rainy week; maybe that’s where they lost some growing time. Clearly it’s small potatoes compared to the major losses and destruction in nearby counties, but it is the news from here. We’re in good shape but given the absence of destruction (so far) we’d expect to be picking more beets, plus carrots and broccoli. But they’ve just been growing a little slow. As odd as it is, this happens some years: the share this week might look a little smaller than last week. The cukes and beets should pick up, and we’ll see more squash and zucchini, but the radishes and turnips and kohlrabi will go by soon. As the first round of greens and lettuce gets tilled backed in to the soil to be followed by a soil-building cover crop, this time of year sees many notes written down, filed away for the winter planning period, reminding us of the good ideas for solving problems or avoiding situations like this harvest conundrum. The harvest this week should be pretty good, we would just like it to be a notch better! The very good news is that all that yummy food is coming, growing as fast as it can given the weather and the few conditions we’ve had control of–weeds, compost, loosening the soil, feeding probiotics– and prospects are looking good for a great summer bounty. The peppers and tomatoes are vigorous, healthy, and full of flowers and baby fruits. There are a few tomatoes approaching full size, which means we could see enough red to pick in a couple weeks. These temperatures are super for pollination and fruit set on those plants. 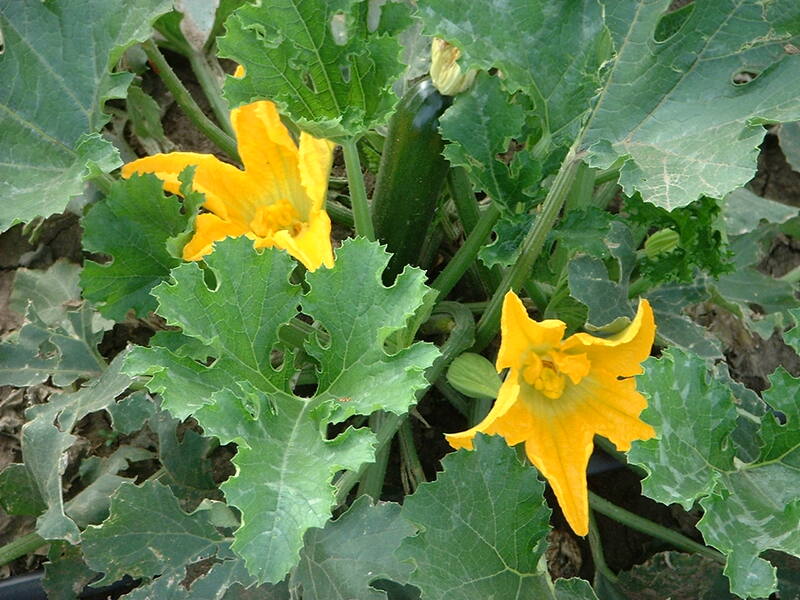 You might remember that summer heat waves sometimes come at just the wrong time, when the juicy fruiting crops — tomatoes, peppers, melons — are flowering and trying to pollinate. When it’s 100 degrees and 95% humidity the plants feel about like you do, and hot sticky pollen doesn’t flow down the tubes it needs to in order for fruit to be made. So even though this Sunday was warmer, these mild temperatures are super for that reproductive act, and like last year we’re seeing very good fruit set on the peppers and tomatoes. Melons are further behind but are starting to make a few little babies too. It was so cool for a few nights last week, down in the 50s, that we held our breath and did some cheerleading — that kind of weather is prime fungal weather, and those fungi are not fun. So we sprayed much of the farm, for the third time this year, with our probiotic mix — a culture of beneficial bacteria to coat the plants to help them fight off fungal spores that might want to move in and start colonies. We’ve been doing this for three years now, and the results seem to be very good. First for plant health we feed the soil, with compost, cover crops and trace minerals, but this extra protection seems to help keep the plants healthy and strong, to make healthy food for you. We did have one case of a fungal problem. There’s a species of fungi that likes to eat everything we grow, and probably every plant on the planet — you name it, it seems to have a fungus (or several) that waits for perfect weather and/or soil conditions and stressed out plants to move in and start pigging out. For lettuce the one we’ve had trouble with is downy mildew. We spotted spores a couple weeks ago, and since we lost about 80% of our lettuce crop a couple years in a row to this little microbe, we dropped everything to deal with it. We harvested what we needed for your shares, then called Just Food and St Olaf to see if they’d take their Friday orders a couple days early, and hearing the story they were very flexible and willing, in their dedicated customer/partner kind of way. So we harvested it all, a few days earlier than we usually would have, then mowed it, tilled it under to stop the plants and fungus from growing, and sprayed it with probiotics. Whew! Hopefully we said goodby for good to that one. That scare was one sign that although most of our plants are robust right now, some are right on the edge of letting their chosen fungi (or bacteria or virus, as the case may be) take hold. The cherry tomatoes were the next indicator–from afar they look great but up close you can see they are starting to lose lower leaves to disease– we hope they can fight it off! With the cool weather coming this week we’re holding our breath that all the vibrant green lushness out there can stay that way, and keep moving forward in this summer sprint of growth. This is one wordy newsletter sometimes, but we hope you enjoy the window into how your food is grown and how we make decisions around here as we work the lucky job of feeding you healthy yummy veggies! Most forecasting was done above, but here’s the short version. New this week: swiss chard, a few more cucumbers and beets. 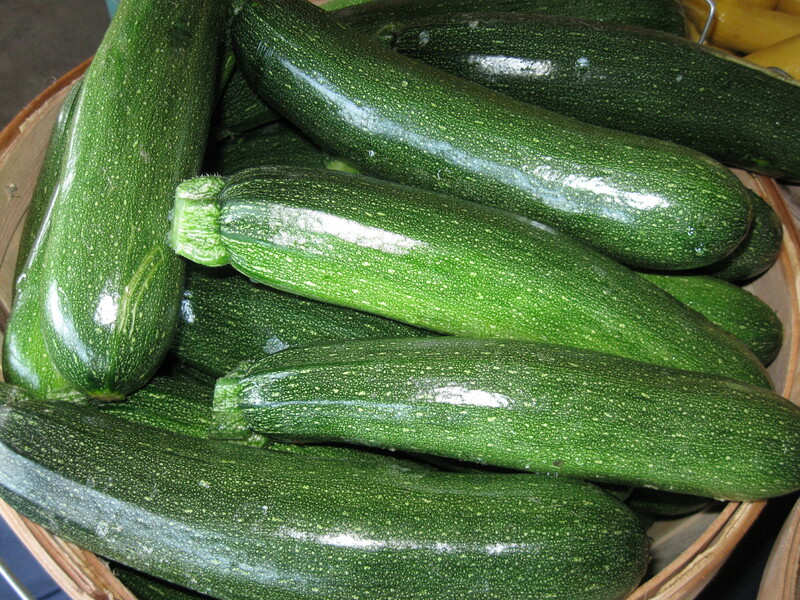 Summer squash and zucchini will pick up too. Radishes, turnips and probably kohlrabi are on their way out. Boc choi and head lettuce 1-2 more weeks, but scallions, and now some baby leeks should be here for 3-4 more weeks. We’re waiting for carrots and broccoli, we’ve sent them love letters to let them know we miss them, but haven’t heard back yet. Garlic scapes are past, now it’s time to wait for the garlic to size up. We expect to harvest at the end of this month (also later than we’re used to), and then it will be in the share again. Oh, the Strawberries. What was good was very good. But we would like a little longer peak harvest of medium-large berries, so for the future are looking into planting two varieties instead of one, to extend the peak season. We hope you got a few quarts over the course of the weeks. Last week’s harvest was not great, we know; we figure though picking small ones is tedious and not everyone likes to pick them, they are berries, they are there, and we like for you to have the option to go out and get them. We love it when peas come in strong right after strawberries, it’s just a fun and exciting (and sugary) sequence. They’re just getting started now and hopefully they can beat the heat (they don’t like it) enough to give us a a couple great weeks of picking. Remember to only pick the plump peas, not the flat ones. Note the difference between shelling peas (1 row of short plants, next to old strawberries) and sugar snap peas (3 rows and taller.) Sugar snap peas can be eaten whole, with the string removed, or can be “shelled” (removed from shell) but shelling peas have a tough shell that should be put in the compost pile instead of trying to chew through all the stringiness. This year’s pea harvest might be a little smaller than usual — cold wet soil conditions when we planted meant we had only moderate germination: there are 50-70% as many plants as last year, depending on which one if us you ask. We like to plant around the third week of April to try to have the peas ripening now, hopefully before a super hot heat wave. By the time they finally came up it was clear we’d have a little less. Looking forward to cherry tomatoes, which already have little green fruits on them that might start ripening in three weeks or so: we are concerned about them staying healthy enough to keep on growing. They’re a little sick right now –apparently we planted them too close to last year’s — we’re a little worried that after an ok strawberry season, and a pea season that can’t rival last year’s bonanza, cherry tomatoes might be a 3rd big lackluster U-pick performance. Soooo, we’ll do what we can but we appreciate your understanding, and sharing in the ups and downs of farming with us. Green beans, though, are off to a good start! We should have them all summer. Pea tendrils, or pea shoots, can still be picked this week. They will be turning into peas soon too. They make snow peas that can also be eaten later. Herbs – Cilantro, Dill, and a little Basil. This week’s selection is : Lettuce Mix for $5 / lb, Boc Choi for 1.50 each, Head Lettuce for $1.5o each, Summer squash and Zucchini for $1/ lb. Save the date! This Saturday, July 12th — 5:00 Farm Tour, 5:45 Gather and Eat. Everyone is welcome! Kids, friends, nice aliens and monsters too! We hope you can come share a meal with us and each other. For U-Picking, Please wash containers after using them, and bring your own scissors for herbs and flowers. Thank you so much for your riding the farming rollercoaster with us!! In a large bowl, stir together the flour, baking powder, cumin, sugar, salt, and pepper. In a small bowl, whisk together the eggs, milk, and butter. Whisk the wet ingredients into the dry ingredients. Stir in the zucchini, corn, and cheese, mix well. Fill the bottom of a cast-iron skillet with about ½ inch of oil. Heat the oil over medium-high heat and then drop the batter by tablespoonfuls into the hot oil. Fry in batches, adding more oil as necessary, until the fritters are puffy, crisp, and golden brown, turning once with tongs (about 60-90 seconds per side). Remove to drain on paper towels. Preheat oven to 375°. Lightly grease a baking sheet with 1 teaspoon of the olive oil. Spread the diced beets on the sheet and bake for 25 minutes, or until fork tender, turning over with a spatula after 10 minutes. Remove from the oven and set aside. While the beets are baking, prepare the pasta according to the package directions. In a small bowl, prepare a dressing by combining 2 Tablespoons of the olive oil, ¼ cup of the lime juice, and the vinegar, salt, pepper, and garlic. Whisk together and set aside. If using the beet stems and greens, sauté them in a skillet with the remaining oil over low to medium heat, stirring often to ensure even cooking, until the leaves are bright green, 4-6 minutes. Remove from the heat, sprinkle with the remaining juice, and stir. When the pasta is al dente, drain it and transfer to a large bowl. Add the beets, basil, walnuts, and peas and toss to combine evenly. Whisk the dressing again and immediately pour it over the pasta mixture. Stir to coat all ingredients thoroughly with the dressing. Divide the beet stems and greens (if using) among individual serving bowls and spoon the pasta over the greens, Grate Parmesan over the top (if desired and serve. Serves 4-5.